Owl is so cute -- love your card!! Owl!! He is so cute! Great way to start the Hop! 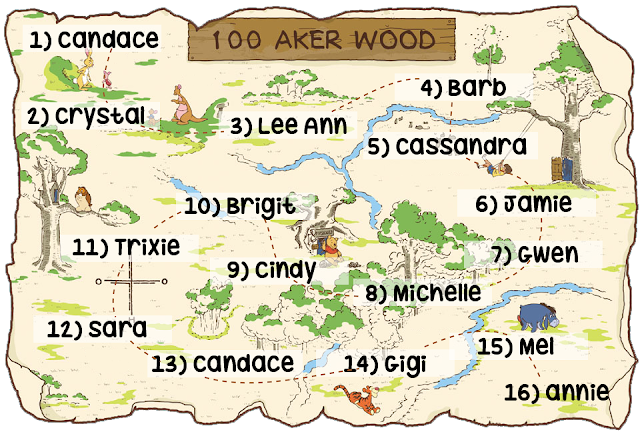 What a great start to another great blog hop! Wise old owl, cute card. So excited! My daughter loves Winnie. Owl is so adorable! Love him! What a cute card. I love the owl. Owl is wonderful and your card is perfect! Owl is looking rather cheeky - love it! Omg, I totally love it!! Thank you so much. Love owl!!! Love your owl. Thanks for your time and talent. What a great match up (cut and stamp), So cute!! Gorgeous card - may favourites colours too... Just beautiful! Super cute card! Love the layers and wonderful fall colors! I love winnie the pooh and friends, and this is just PERFECT!! LOVE the owl card .. so beautiful. Awe! Owl is spectacular. What is not to love about him? I almost missed this hop, but I'm so glad I didn't! You all make such adorable things, what an inspiration! Thank you! Adorable! You did an excellent job layering the owl and adding highlights to make him come alive! Omg! Such an adorable card! Love it! So cute! Such attention to detail! LOVE this! You "OWL" is so cute. Thank you for sharing. Have a great crafty day. Love the owl. How Cute!! Love it!! So cute ! I love it . Great card. I love Owl. The Owl is adorable. Thanks! The card is cute. I love tour colors. Awesome card! Love the owl, colors and all the shading on it. Love this owl so cute! Love the owl, great job! Love Owl!! Great project. Love the colors and the sentiment. Owl is so cute. Such detail. Love it. Very cute Owl. Thank you for sharing. This is so awesome...Love the shading on owl! Love the colors and layout and of course this darling owl. So wonderful to see Owl! Brings back memories and what an awesome card. 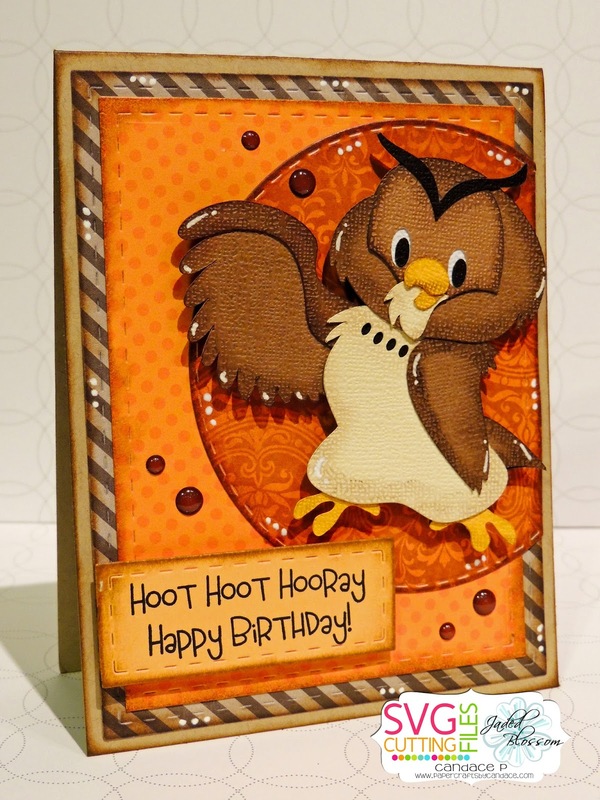 Love the texture of the cutie owl on this card!!!! You card is so cute. Just makes me smile. Thanks for sharing! What a HOOT...this card is awesome, Candace! oh I love the colors.. great job.. Eeeee!!! I love Winnie the Pooh. I'm so excited to see what everyone makes. Owl is so cute. He is sure cute. I'm on a learning curve here on how to do a blog hop. Think I'll learn lots of great things. I am a huge Pooh fan and almost missed this hop! So glad I saw it this morning. Adorable Owl! ADORABLE! I love that wise old owl! The Owl! He is so cute! Love your card. Owl is adorable! I love your card and Mr. Owl is awesome!!! I love owls, so cute! He is adorable Candace! love the colors you used for the mats! I love your owl card! Very nice! I love this card. Owl is adorable. Love the colors in your card. great choices. I love Owl, and glad he was included in the hop. Thank you. Love the owl!! Cute card! Cute card! Love the owl. I love Winnie and his friends. Too cute. The Owl card is wonderful.